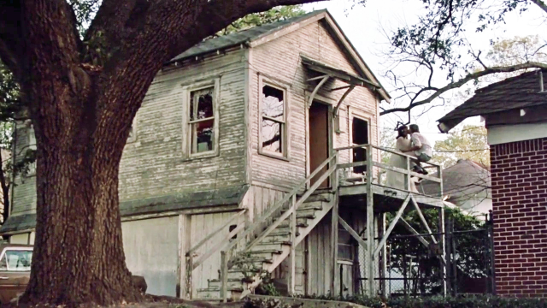 Fans of Shirley MacLaine might remember this Depression-era ADU from Terms of Endearment, the classic 1983 tearjerker that was filmed in Houston. In both of these thriving neighborhoods near downtown, ADUs became an important part of the residential landscape during the Great Depression, and in the 1950s, when inner-city neighborhoods saw increased demand for affordable rental housing. 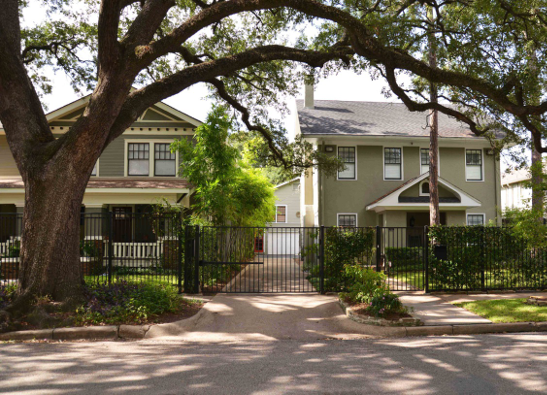 For individual apartment investors who prefer the traditional charm of Houston’s older neighborhoods, having an ADU on a multi-unit property can be the deciding factor when evaluating whether or not a renovation project is feasible. says Houston apartment developer Mike Ayers, owner of Antiquarian Homes. New garage apartments in Houston are often built as an unfinished shell along with a new primary residence, giving buyers the option to create an apartment or guest quarters, a home office, or just an added space for hobbies. Houston contractor Mike Shelton, owner of Harvard Heights Construction, reports strong demand for studio- or loft-style ADU interiors that provide more flexibility than traditional living room/bedroom plans. In short, ADUs are allowed “by right” without a conditional use process. There is one important exception: some of the more prosperous inner-city neighborhoods still have deed restrictions that prevent ADUs from being rented. If the property is in a 100-year floodplain, there are additional site-preparation and insurance requirements. There are some design challenges and opportunities. Style: There may or may not be restrictions. 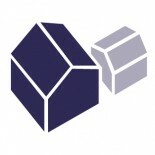 Houston neighborhoods that are at least 50 years old and have not experienced significant new development can apply for Historic District status, whereby a petition signed by two-thirds of the property owners usually results in the mandated preservation of every original façade within that district. Garages that were added later, usually in conflicting architectural styles, are considered “non-contributing” structures exempt from preservation restrictions. Houston’s unique set of rules raises an interesting possibility — could this Texas city, whose metropolitan area is top-ranked for sprawl among metro areas of its size (table 6 in this report) — become a hotbed of housing invention? says David Crossley, president of Houston Tomorrow, in a Houston Chronicle article. A steady influx of young professionals seeking creative urban rental options in walkable, mixed-use neighborhoods. A city planning effort that intends to leverage the light-rail system to revitalize the inner city through “smart growth” investment that increases density. Many diverse and welcoming inner-city neighborhoods, where homeowners are unlikely to protest a neighbor’s back-yard construction project. As Houston prepares for unprecedented population growth in the coming decades, I predict that the versatile ADU concept will continue to help make our inner-city neighborhoods more affordable and sustainable. Howard Maple is a classical musician, editor, and home-design enthusiast who renovated and enlarged a 1928 bungalow in the 1990s. The city is changing some rules on Jan 1. We are asking anyone interested to get their project number in december so they will be “grandfathered” for the new year. The project numbers last for 6 months. The city goes by project number, not dates. One rule that is going to be a problem for a lot of clients is they are changing the impervious area from 75% to 65%. If you are over you will have to have detention for storm water (ie rain barrells). This happened about 5-6 years ago, and I was on channel 2 news about it. After so much outcry, the city did away with it, but is is going to stick this time. I just skimmed some of your information but I don’t see in big bold letters anything about appraisal. That and that alone in my area is the stop button. Without appraisals I can’t get these properties built. are appraisers will only use the sales approach and this is not available as there are no comparable sales. I appreciate you writing an appraisal guide on this topic but I don’t see any official adoption of this technique in order to be able to finance through government agencies, even local banks. Is there any movement on being able to use the income approach? I see that homeready loans allows adus to be used in an appraisal but only if it is appraised with a sales approach. Is there a way to get around this? 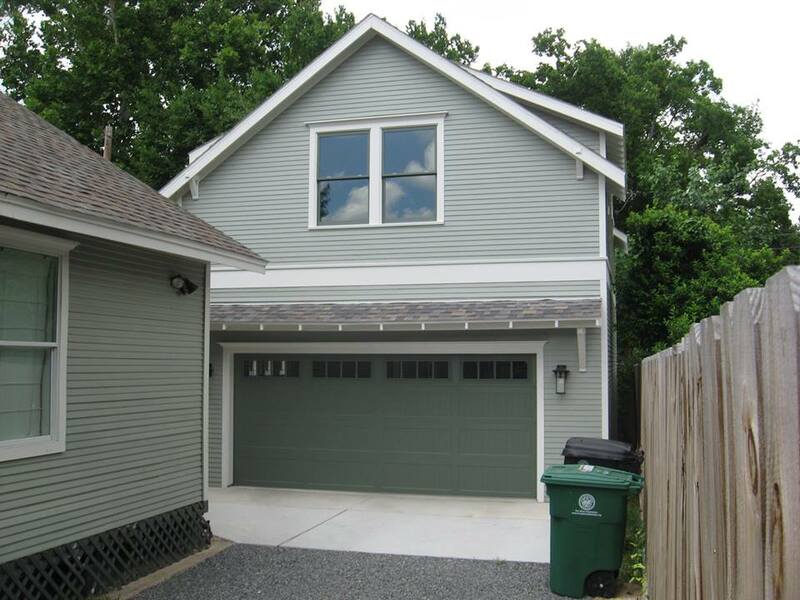 This entry was posted on November 19, 2014 by howard713 in Design & Build, Garage, Policy & Trends and tagged accessory dwelling units, codes, garage apartments, Houston, in-law units, mixed-use neighborhoods, permits, rules, texas, zoning.